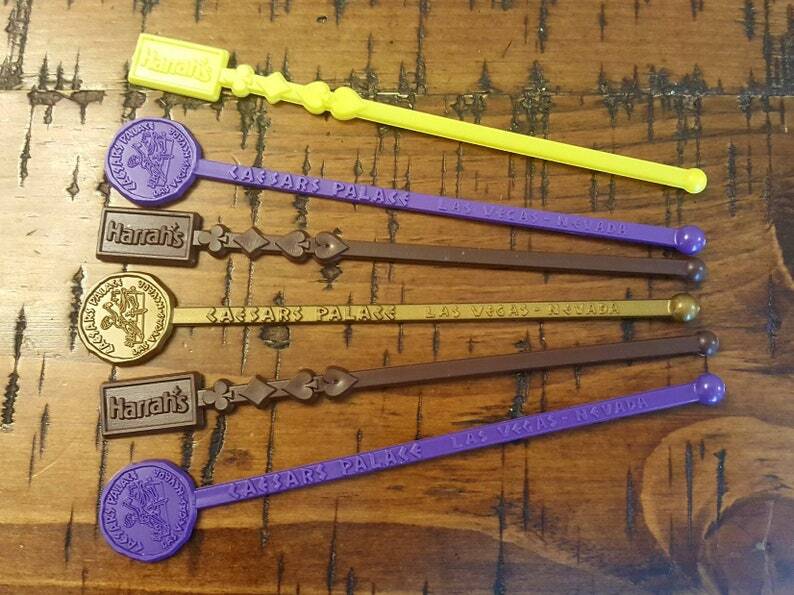 Lot of 6 vintage swizzle sticks from Harrah's and Caesar's Palace in Las Vegas. Colors include purple, yellow, gold, and brown. These are in good vintage condition.